The Tanabata Festival or Star Festival is the celebration of two stars, Vega and Altair. They are lovers who are separated by the Milky Way and can only meet once a year. 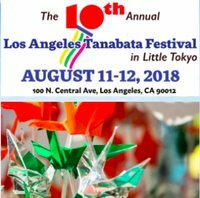 Please visit Tanabata Los Angeles's website for more information. kmatsuno . Última actualización Jul 08 2018 6:02 p.m.